A former Wells Fargo financial advisor in Michigan is facing a felony charge over alleged embezzlement, mlive.com writes. David Homan was arraigned in Bay County District Court on one count of embezzlement between $50,000 and $100,000, which could lead to a 15-year prison sentence, according to the news website. But Joseph Weiler of law firm Chalgian & Tripp, a lawyer representing the trust fund from which Homan allegedly embezzled the money, told police in 2015 the former advisor allegedly stole more than $500,000 from the fund, mlive.com writes. The trust belonged to Elizabeth Stafford, who died in April 2009, with her sister named as the beneficiary, according to the news website. When the sister died in 2013, another sister was named as successor but she too died in 2014, with her three daughters named as the subsequent beneficiaries, mlive.com writes. Homan, meanwhile, had been co-trustee of the fund since 2003 and became its sole trustee after Stafford died, when the fund had around $516,000, according to court records cited by the news website. A forensic audit of the fund revealed $513,211.57 had been allegedly misappropriated from the fund between 2009 and 2014, via transfers to Homan’s credit card accounts and a check to a car dealership for a vehicle that was registered to Homan’s wife, according to police records cited by mlive.com. Homan allegedly lied to Stafford’s family that he was related to them, according to the police, the website writes. Court records, meanwhile, show that a 2013 death certificate of one of the sisters erroneously described Homan as her nephew, according to mlive.com. He is due to appear for a preliminary examination Aug. 30, the website writes. 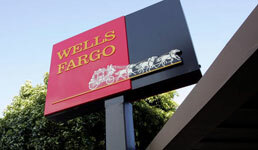 Homan resigned voluntarily from Wells Fargo in 2014 while under internal review for failing to tell the firm that he was a beneficiary of a client’s trust and to get the firm’s permission to serve as power of attorney and personal representative for the client, according to Homan’s BrokerCheck record. Finra barred Homan in 2014 after he failed to respond to its request for information, according to his record. Homan joined the financial services industry in 1986 and worked at Merrill Lynch and UBS before coming to Wells Fargo in 2009, according to BrokerCheck. To read the mlive.com article cited in this story, click here.